Join the Free fun @ Bass Pro April 12-20, 2014. 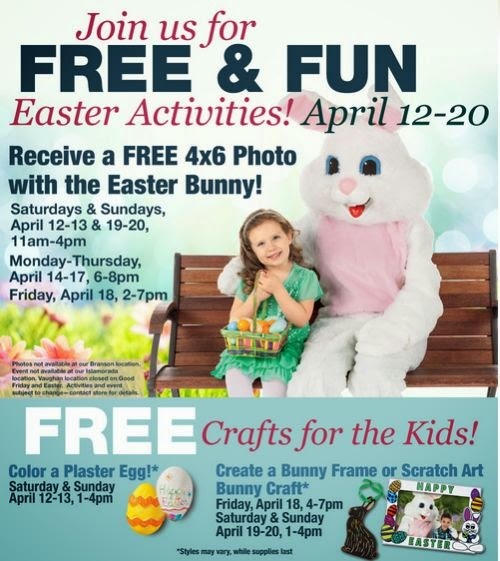 Receive a Free 4x6 Photo with the Easter Bunny! Color a Plaster Egg or Create a Bunny Fame or Scratch Art Bunny. Click the link below to go to the Bass Pro website to check out the dates, times & details of all the free fun for Easter @ Bass Pro. Don't miss their Easter Egg Hunts!